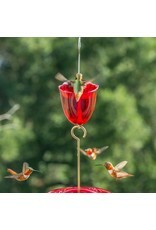 The Ant Moat is a reliable first line of defense against ants attempting to infiltrate hummingbird feeders. 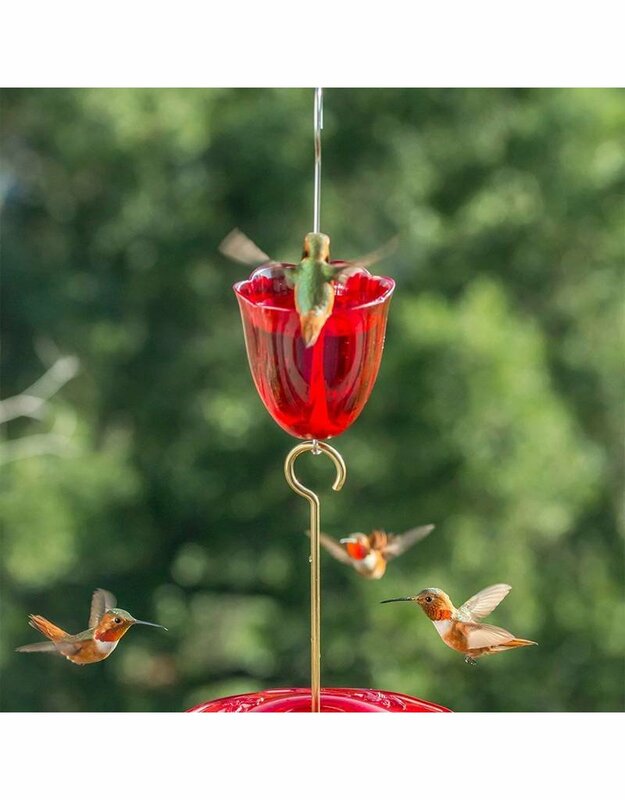 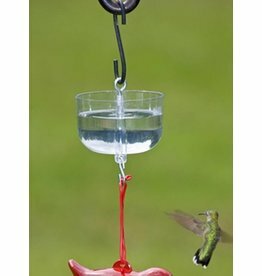 When filled with water, the Ant Moat forms a barrier that keeps ants away from the irresistible nectar of the hummingbird feeders. 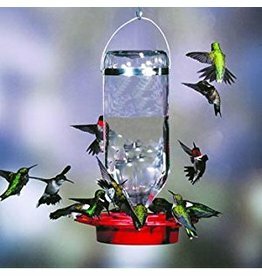 It has a 6 oz. 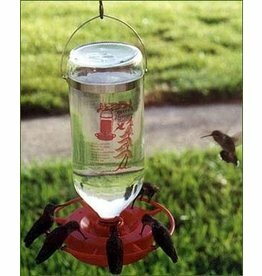 capacity for water that offers days of protection. 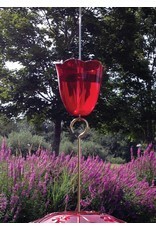 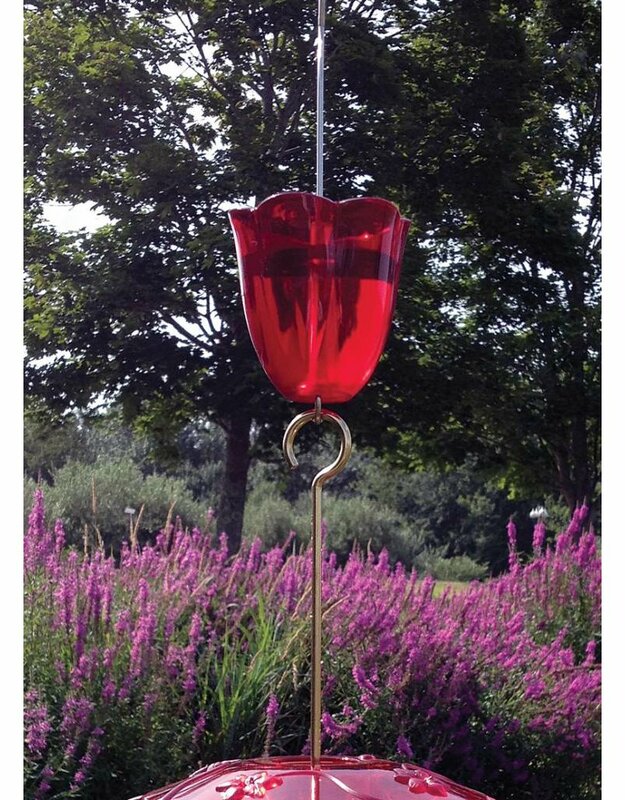 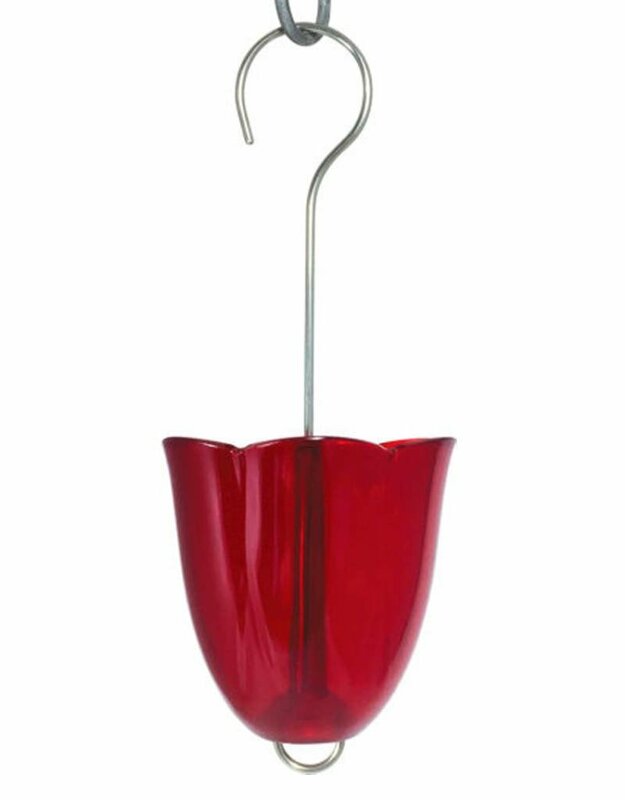 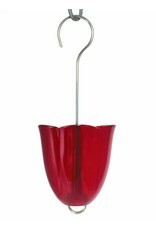 The stainless steel hanging hook extends through the base of the Ant Moat to hold hummingbird feeder hangers. Constructed of striking ruby red UV stabilized polycarbonate, the ant moat is durable and long lasting. 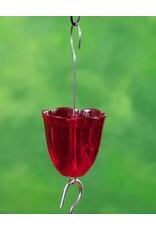 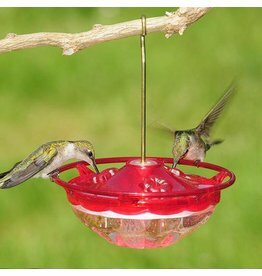 The attractive coloration also coordinates with many hummingbird feeder color schemes.